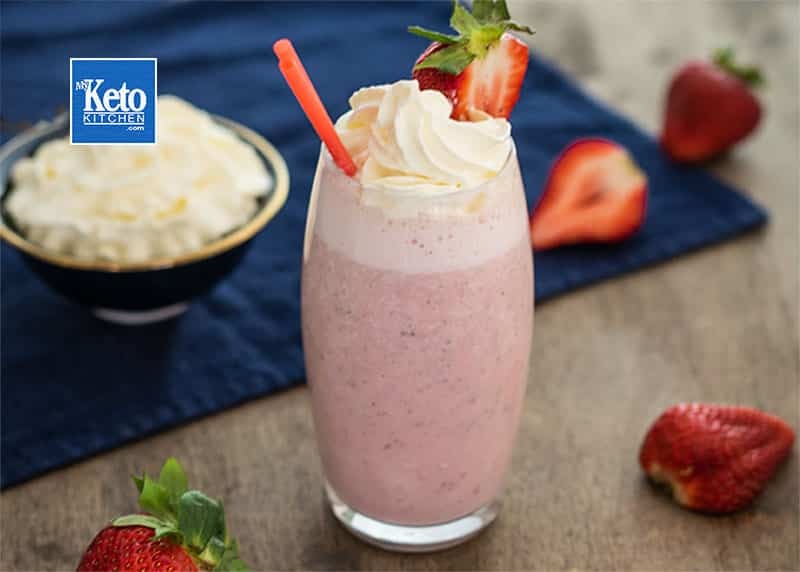 A Very Easy Low-Carb Keto Strawberry Smoothie Recipe. Tasty low-carb Strawberry Keto Smoothies are super easy to make and the ingredients are very healthy. We use collagen powder as it has a higher fat to protein ration making it more keto friendly. Collagen also thickens the strawberry smoothie more than low-carb whey powder. 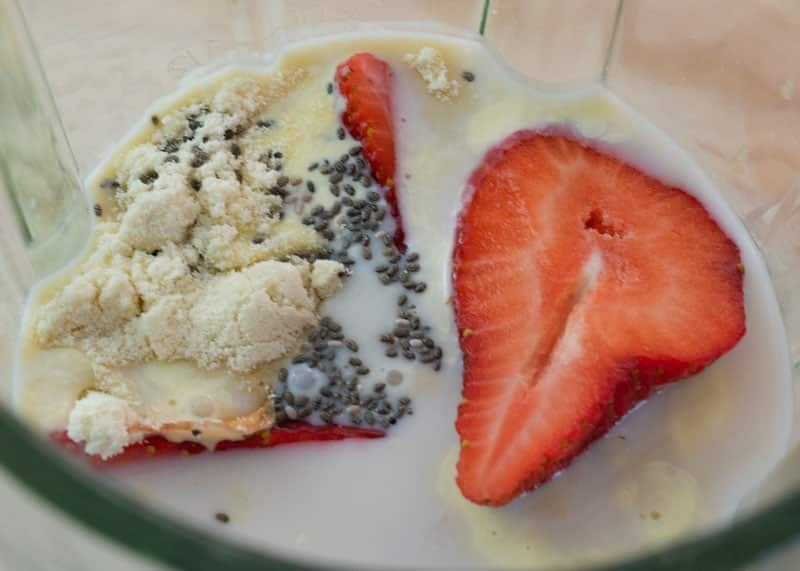 This keto strawberry smoothy has enough healthy fats from the chia seeds and heavy cream to keep you going for hours. Feel free to experiment with the ingredients and come up with your own version. If looking for extra fiber in your keto diet try adding psyllium husk to your strawberry smoothie. How to make Keto Strawberry Smoothies. Keto Smoothies are very easy to make and are a low-carb, high-fat meal in themselves. 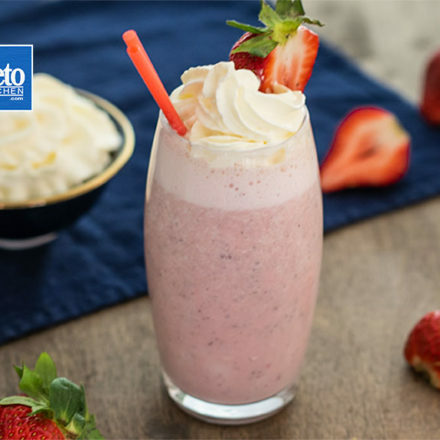 A thick and "Tasty" Keto Strawberry Smoothie recipe that anyone can make at home with low-carb ingredients and a blender. This smoothie has enough Healthy Fats to keep you going for hours, along with collagen for healthy, hair, skin, nails and joints. There is 1.4 g of carbs in one large strawberry. Carbohydrates are the dominant macronutrient in strawberries. The carbs are quite high in carbs when you consider the fat and protein content of strawberries. Thankfully strawberries are very strong flavored so just one or two accompanied with some high fat ingredients works a treat. Can I Have Strawberries On Keto? You can have strawberries on your keto diet if they fit within your ketogenic macronutrients. However, you shouldn’t be eating punnets of them. There is one gram of sugar (1.4 g carb) in one large strawberry. 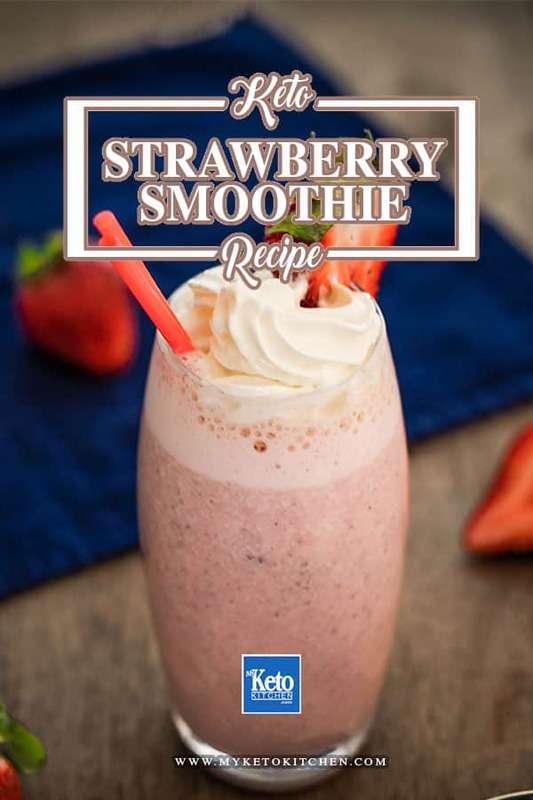 We only use strawberries as an ingredient and for the purpose of this low-carb smoothie recipe, the strawberry has very little bearing on the high-fat content and ketogenic benefits of it. If you want to make more Keto Strawberry Smoothies for friends just adjust the servings amounts above.